The cream of world tennis is set to battle it out at the Australian Open starting Monday, the first Grand Slam event of 2016. The tournament will run over two weeks, with the sport’s top stars eager to start the new year with a strong showing. 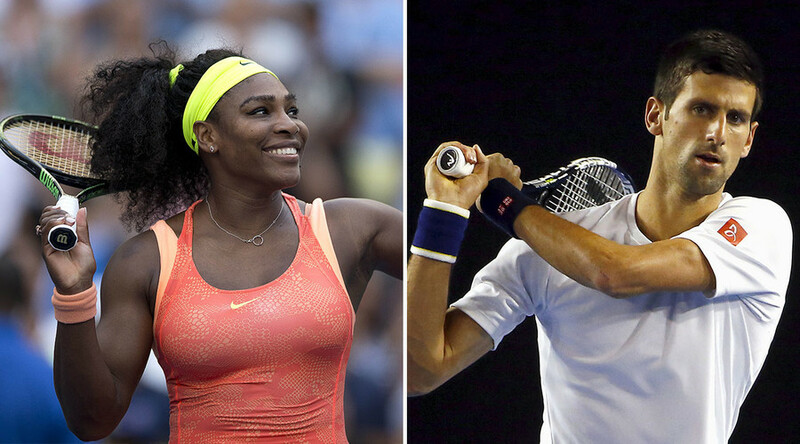 Here we look at the main contenders in the men and women’s singles competitions. The World #1 beat Andy Murray in the final in Melbourne last year and will go into 2016 looking to build a legacy. The silky Serb won three majors in 2015, with only a shock defeat to Stan Wawrinka at the elusive French Open robbing him of a calendar Grand Slam. Djokovic will continue to be the frontrunner in any tournament he enters and is the favorite to add to his 10 major titles this month. The passionate Scot continues to close the gap on the reigning champion and can regard 2015 as a good year. Murray led Great Britain to their first Davis Cup success in 79 years, but more importantly from a personal perspective ended an eight-match losing streak against Djokovic in the Rogers Cup final in Montreal, Canada. Expect Murray to be one of the contenders again in Melbourne, with revenge for last year’s final defeat in his sights. It is set to be a defining year for the Swiss artisan, who has not won a Grand Slam since 2012 and recently parted company with enigmatic coach Stefan Edberg. With Federer set to compete in the 2016 Olympics alongside distinguished compatriot Martina Hingis in the mixed doubles, it is set to be a bumper year for the 17-time Grand Slam winner. Djokovic has also been the major roadblock in the 34-year-old’s route to success, but the gifted veteran will continue to pose a threat given his experience and delightful range of shots. The American powerhouse Serena Williams returns to action after cutting 2015 short and will defend the crown that she won against Maria Sharapova in last year’s Australian final. The 34-year-old matched Djokovic in winning three Grand Slams last year, with only a shock defeat to Roberta Vinci in the US Open semi-finals robbing her of a clean sweep. Expect Williams to come out fighting. Anyone who beats her will surely deserve tournament glory. A rising star of the tennis world, the Romanian has played her way to become the world’s #2, showing no lack of style or grace in the process. The 24-year-old continues to search for her first Grand Slam victory, with her nearest miss a defeat to Maria Sharapova in the final of the 2014 French Open. Halep recently confided that she has a plan to beat Williams should they meet, with the younger player’s agility and movement a threat to the American’s dominance. It was a frustrating year for Russia’s Maria Sharapova in 2015, which started with defeat to Williams in the Australian Open. The world #5 also was beaten by the American in the Wimbledon semi-finals, making it 17 consecutive losses to the current world #1. Having won the Australian Open in 2008, Sharapova has been beaten in the final four of the tournament on three subsequent occasions but will look to start 2016 with glory.